Celebrate 60 years of legendary Stratocaster® music-making while crafting your own hits with this commemorative tin of classic Fender® picks. 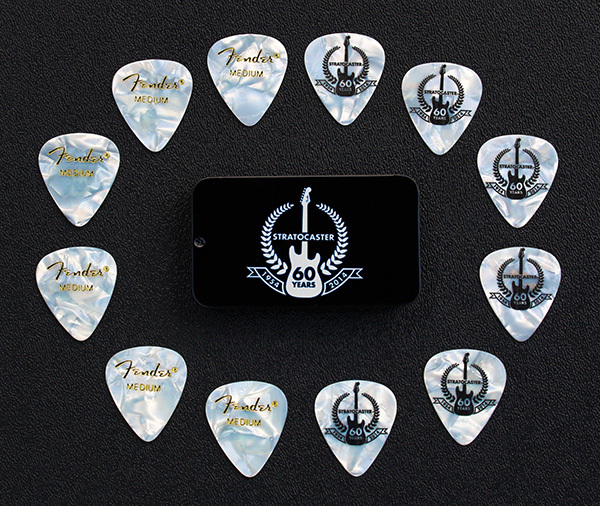 As durable as it is useful, the special-edition tin features inspired imagery honoring the diamond anniversary of the world’s greatest electric guitar. Durable black metal tin with 60th anniversary Stratocaster® and classic Fender® logos. Contains 12 medium premium white celluloid picks. 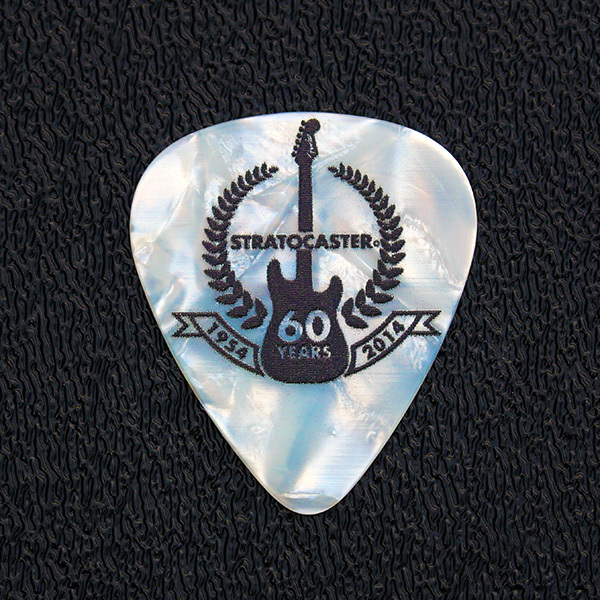 Picks feature raised 60th Stratocaster® artwork.